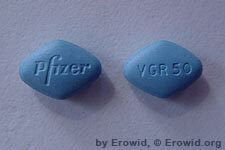 Sildenafil citrate is prescribed in the treatment of Erectile Dysfunction. It is commonly referred to as a "lifestyle drug". Lifestyle drugs are prescribed for quality-of-life conditions such as baldness, impotence, obesity and smoking cessation. Sildenafil is a synthetic piperazine derivative.